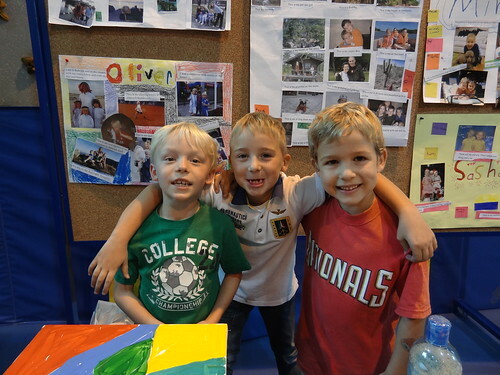 Oliver is pictured above with his buddies Oskar and Mihailo at the “Who We Are” Museum. The students were as to make posters and bring objects that were important to them. Oliver brought in his shark stuffed animal, a painting (in front of him) and you can see one of his posters in the background. The little guy did a good job of typing captions for all of the photos and explaining what was important to him. The first graders had two tables of toys and it really brought home how important toys are to 6 and 7 year olds.